I've gotten to read an awesome book lately; one I was iffy on reading. It turned out to be so unique of a story that it was moved up in the list of books to review! 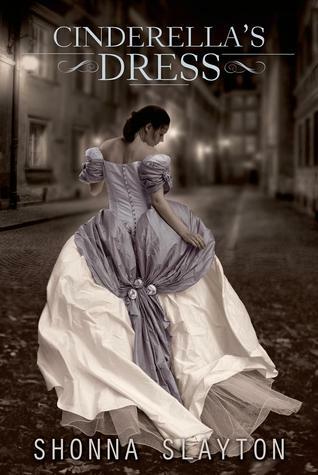 In fact, it's today's book: Cinderella's Dress by Shonna Slayton! Summary: "Being seventeen during World War II is tough. Finding out you’re the next keeper of the real Cinderella’s dresses is even tougher. So the main character has this dream of being a window dresser, which I didn't know was unusual for a woman to do back then. I also didn't know how important and immensely creative that profession is. It's so cool to learn. I also learned a lot more about people, and the War, and also just little details in general. It's truly like being back in the WWII era, working and dreaming with Katie! So take that and add on the fairytale dresses of Cinderella, and the mystery of it all. Is it true? Is it just a fantasy? What is going on? All of the questions are asked and answered wonderfully in this novel. I loved the magic of it all, and how this novel makes it feel like magic and fairytales can be true; we'd never know. I love that feeling, and truly, this novel has done it better than the novels I've been reading/have read. The only downside for me is that I wanted to reach the conclusion and figure it all out faster than I did. However, stay patient, because it's all worth it. In Conclusion: Please read this, even if you don't like historical fiction. It's so creative and fun!